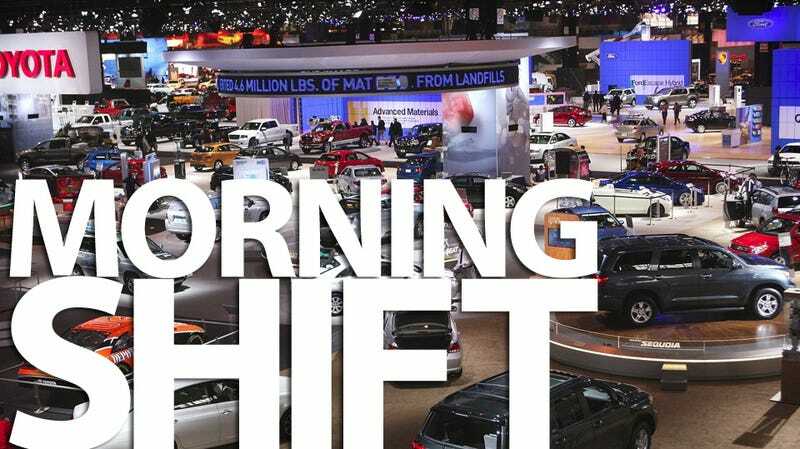 With our redesign comes the return of Morning Shift, our one-stop daily morning roundup of all the auto news that's actually important to you — right here on Jalopnik every weekday at 9:00 AM. It's all of the most important automotive news on the internet wrapped up neatly with a bow for you every morning. Welcome to the new Jalopnik 5.0! 1st Gear: First staged in 1901, the Chicago Auto Show is the largest auto show in North America by public attendance and has been held more times than any other auto exposition on the continent. This year marks the 103rd time it's graced the Windy City. Today is Chicago Auto Show media preview day. We have Sam Smith and volunteer photographer Jonathan Quinn on the scene to cover the show live for us. Follow all the Chicago Auto Show fun. 2nd Gear: Speaking of the Chicago Auto Show, in case you didn't notice, the Chevy Camaro Z28? It's not the Z28. Instead, the more accurate name is the Chevy Camaro ZL1. We called it. Sorta. OK, no, not really. 3rd Gear: Yesterday's rumored GM profit-sharing with UAW workers has become today's $3,000 profit-sharing checks. That's the average payout 53,000 union workers are expecting — a record for the automaker, topping the average $1,775 workers received for 1999. But still not as much as the $5,000 average being paid out to U.S. hourly workers in profit-sharing. But Ford's always trying to one-up GM. For what it's worth, Chrysler, which posted a net loss in 2010, plans to pay U.S. hourly workers $750 each in "recognition of their most bellissimo contributions to the company's progress toward recovery." 4th Gear: Great news! Ford will launch "a major new vehicle" at next month's Geneva Motor Show. And guess what? It'll be a crossover! Another one! Yippee! This one, however, will be built on the Ford Fiesta and it'll be designed to compete with the Nissan Note and Renault Modus. We can't wait. The new model will be joined on Ford's Geneva stand by a plug-in hybrid C-Max Energi and Focus Electric, both of which were launched in Detroit last month. Well, that seems worth going to Europe to see, doesn't it? 5th Gear: Speaking of Ford, they're confirming a "114g/km Mondeo." We don't understand what that means, but a bunch of hippies think it's "awesome, man." A new 1.6-litre Duratorq TDCi engine with 113bhp will power the model, which will also feature Ford's new stop-start system taken from its new 158bhp 1.6 Ecoboost engine. But we really don't care that much because it's a car we don't get here. Yet. 6th Gear: This is the Audi Carbon ski concept. It's a pair of skis that are 200 grams lighter than comparable models... of skis. That could be because they're made of carbon fiber. The Audi Carbon Ski may become available already in winter 2011/2012. Yeah, even if it's the first Chicago Auto Show press day, there's just not that much news out there today. Sorry! Come back later! Redesign Note: Loyal Jalopnik readers, if the redesign is still scary or buggy — try out "Jalopnik Blog" view. Also, the "edit" button works on comments now! Click here if you're looking for the Opposite Lock or Tips forums.